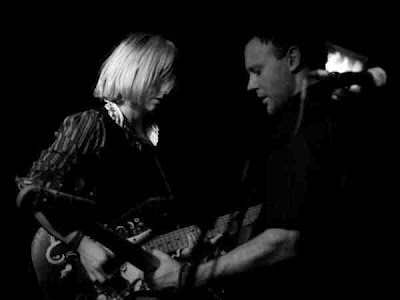 This is The Joy Formidable recorded live at Barfly in Birmingham last week. I saw them in York a couple of weeks ago and they played a brilliant, if rather short set. This set is unfortunately no longer. Six tracks in half an hour, five of which are included on their debut album "A Balloon Called Moaning" which if memory serves is available for free download from the bands Myspace site. Saw them in Glasgow on Wednesday, they were brilliant but like you say a short st but they were the support. Didn't hang about for Howling Bells as was only there to see The Joy Formidable.